Are blended malts the future of Scotch? Once known as vatted or ‘pure’ malts, blended malts transcend that old blends vs malts debate, with more and more products appearing on shelves. So could they be the key to the future growth of Scotch? Tom Bruce-Gardyne reports. There is nothing new about blended malts – indeed, the first modern brand of Scotch was almost certainly one of them. Andrew Usher’s Old Vatted Glenlivet was presumably a blend of malts from Upper Speyside when it launched in the 1860s, though within 20 years it had morphed into a blended whisky with up to two-thirds grain. What is new, however, is the name, which was cooked up by a committee of the Scotch Whisky Association in 2004 in the wake of the notorious Cardhu affair, when Diageo rechristened its Speyside whisky Cardhu Pure Malt, allowing other malts to be added in. The drinks giant thought that no-one would really mind – but the backlash forced it to think again. Cardhu is water under the bridge, but the category it helped to create has begun to catch fire. 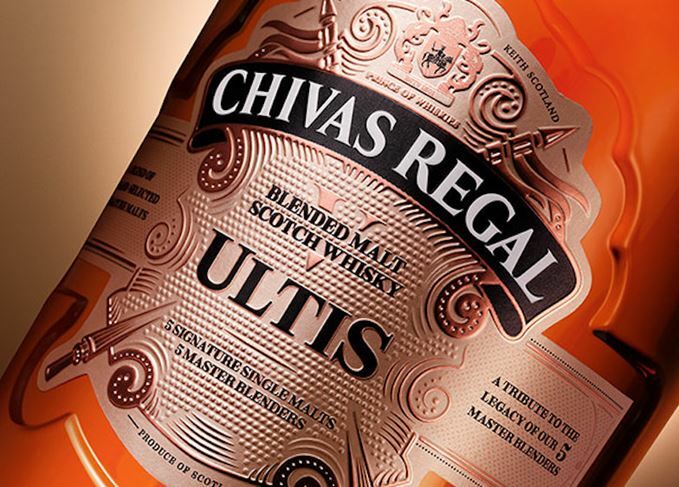 William Grant’s Monkey Shoulder, first released in 2005, sold more than 300,000 nine-litre cases last year; Johnnie Walker Green Label has been revived, Chivas Regal has added Ultis to its range, and Famous Grouse spin-off The Naked Grouse has become a blended malt. Others too are leaping on the blended malt bandwagon, including Shackleton, Wemyss, Copper Dog and Black Tartan, whose co-founder enters the ring for this month’s debate: Are blended malts the future for blended Scotch? ‘Yes… but it’s more than that. Firstly, it’s important to stop denigrating the word “blend”. Blended whiskies are, by and large, created by experts in their field with a great deal of knowledge, ability and experience. To simply dismiss blends as somehow “less” than single malts is therefore daft. ‘Admittedly, some Scotch blends were pretty nasty in the past, but they are few and far between these days. Meanwhile, contrary to common perception among casual whisky drinkers, there are still some wholly unpleasant younger single malts out there that have not had time to mature before they are rushed to market. ‘Blending these younger malts can smooth out the harshness of that youth and create something that can really sing, but at a price point that doesn’t put off casual drinkers or those new to whisky. That price point, it should also be noted, is the same as, or below, the majority of young single malts. ‘If we can tempt some consumers in that spending level into trying blended malt, it will open their eyes to the fact that “blend”, whether of malt or grain, doesn’t mean second-best, and that “single malt” in no way guarantees quality. ‘We all remember our first dram, and the experience of that initial tasting is a major factor in whether people keep drinking whisky or decide, there and then, it’s not for them. ‘So yes, at Black Tartan we believe that blended malts are the future, but not because they are somehow inherently better than Scotch blends. They just deliver a different flavour profile which, being a little more mellow, can be more approachable to the uninitiated – and often considerably more so than younger single malts, which can be very off-putting. ‘Obviously, if you make any prediction you risk getting it horribly wrong, and it will be forever on the internet to haunt you for the rest of your life. So, with that caveat, let’s start by saying that whatever the future of Scotch whisky, today’s sales volumes won’t necessarily translate into tomorrow’s. ‘If we looked at single malts in the 1950s, we’d be forgiven for thinking they’d never take off. Similarly, blended whisky in the 1850s must have felt like a fad, so I wouldn’t necessarily look at the teeny volumes of blended malt and think it’s not going to work. ‘People who are into premium spirits would be interested in cocktails or long drinks with the novelty of blended malts. But, if you’re a blended whisky drinker in Poland, Mozambique or Vietnam, I think it’s unlikely you would trade up to a blended malt instead of a well-known single malt. ‘Turning the question round – what role do blended malts fulfil that isn’t already fulfilled by single malts and blends? In mature whisky markets like the UK or US, novelty is a key driver at the top end, with specialist whisky shops telling us that 80% of what they sell is the new stuff. ‘While you and I might love what Compass Box and the Scotch Malt Whisky Society do, we’re such a tiny minority. If every whisky geek under the sun were to drink nothing but blended malt for the rest of their lives, the needle would hardly move. ‘We’ve been painting this picture that, if single malts are up, blends must be on their way down, but that isn’t really true. Malt whisky’s share of total Scotch has been around 10% by volume for some time, while blended Scotch is still in healthy growth – and that’s true of our Hankey Bannister and Catto’s blends. ‘The further away you get from Scotland, the more clearly you see this – Latin America has been driven by blended Scotch for eons, and if ever import tariffs were lowered in India, by even a little bit, blended Scotch will see massive growth in that incredible market. When the Scotch whisky industry denied itself the use of the term ‘pure malt’, unlike Japanese whisky, few thought much of its replacement, and there were doubts that blended malt would appeal to aspiring malt whisky drinkers thanks to that ‘b’ word. In 2012, Johnnie Walker dropped its Green Label version in all but Taiwan, only to reinstate it four years later. Right now it seems quite a trendy category, with a profusion of new brands trying to surf the same wave as Monkey Shoulder. Will it attract that lost generation of Scotch drinkers in countries like the UK and US back into the fold or, conversely, will it inspire a new-found respect for the art of blending? Time will tell, but my guess is probably neither. The truth is that your average Monkey Shoulder drinker doesn’t really give a monkey’s about the category. As a whisky brand, it has managed to escape the preconceptions around blended Scotch and single malts, and that probably tells you a lot about its success. Similarly, anyone drinking Whyte & Mackay’s Shackleton has bought into the great explorer himself and his tales of derring-do, rather than a particular type of whisky. Blended malts may prove to be a passing fad, but, as Lukasz Dynowiak points out, people were no doubt saying that about single malts in the past. The style that almost vanished from the whisky universe is now very much back in vogue. The blended Scotch brand is the latest to introduce a blended malt expression, Buchanan’s Select. A blend of Clynelish and Caol Ila, the whisky is a follow-up to the ground breaking Eleuthera. From Glenfiddich to Glen Grant, these are the world’s most popular Scotch malt whiskies. Lakes distillery has used whiskies from both sides of the border in a hybrid blended malt.